Cockleburs and Goldenrods! – How Would You Do It? Maybe I’m perverse, but I think the cocklebur plant is a work of wonder and the thistle in bloom is a fresh beauty. Clever of these guys to develop those stickers. The cockleburs are most impressive hitchhikers…just a brush and the little thing has ride. 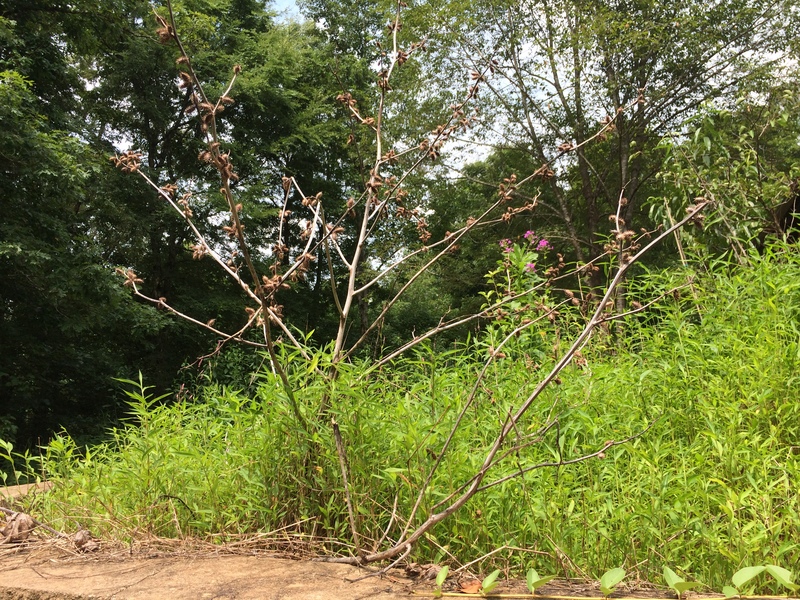 Look at the gnarly plant with clusters of burr-bombs all over it! The thistles can grow over six feet tall around here. I know because a couple years ago I had a solid wall of them in front of the garage door I never open. The deep green spine-covered leaves set the blazing flower off well. I dense grouping of then in bloom is a real sight to see. I would have a picture of that array except I needed to get an appraisal for a refinance. I thought the appraiser would not appreciate the natural encroachment and would ask about whether the garage door even worked (it doesn’t), so with heavy heart I chopped them. As a consolation, they were spent by then anyway. I guarantee they are in no way endangered around here! 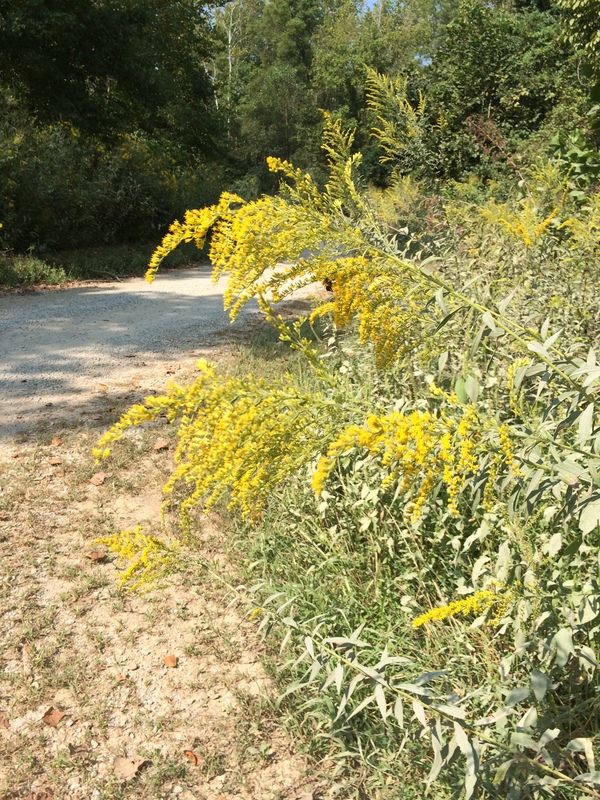 Our state flower is the goldenrod, and I have a widespread distribution of them I know there are a hundred subspecies of them an d confess that I don’t remember which these are, or even if there are several different ones. All I do know is they are a sure sign the autumn is on the way. They seem a bit more scraggly that in years before. Maybe the effect of another record hot summer? 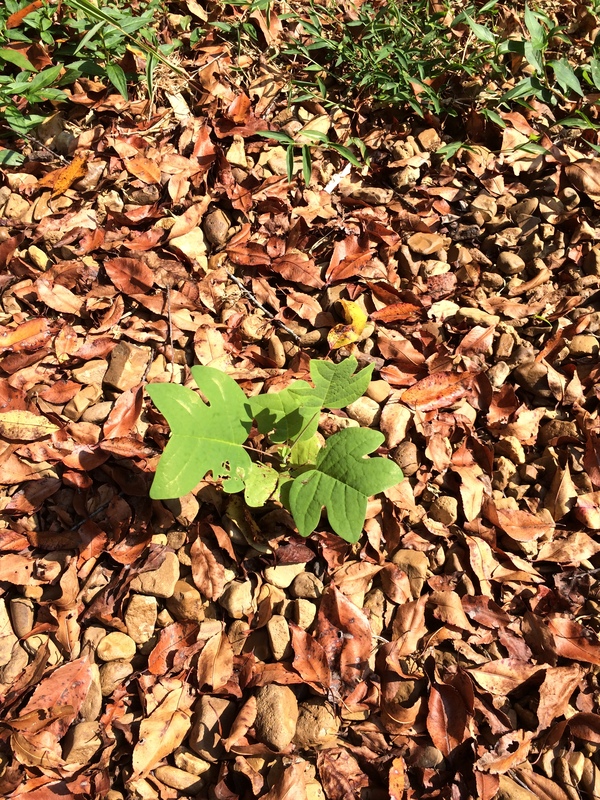 And just because I didn’t want to leave his poor little fella out, here’s a tiny tulip tree. A doomed tulip tree cannot be left here next to the strawberries, tis not a good place for it. Yes, I will attempt a transplant. How can I not?